- Independent service counter per channel. 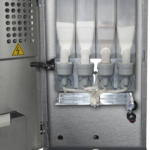 - Channel lock when the product runs out. - Possibility to customize the front screen. - Interior lighting of the front. 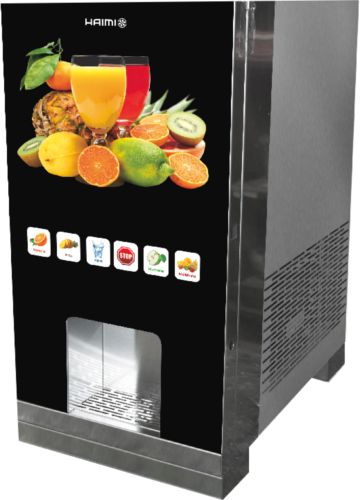 With this machine you will be able to dispense cold smoothies in a very comfortable and fast way making the most out of a product. It has 4 channels plus one extra for water. It has an outlet and drain to the network, or the possibility of being autonomous with 2 tanks, one for clean water and another one for waste. 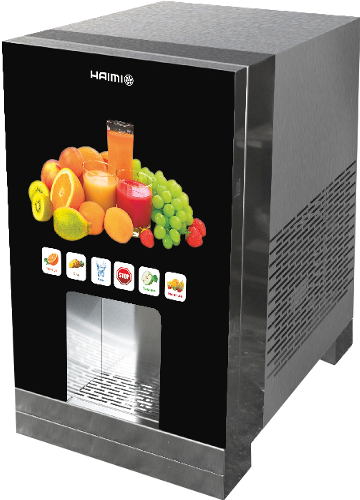 It is a smoothie dispensing machine entirely made of stainless steel, and technologically very advanced including electronic regulation of all internal components, a counter per channel, and an automatic locking system for when the product runs out. 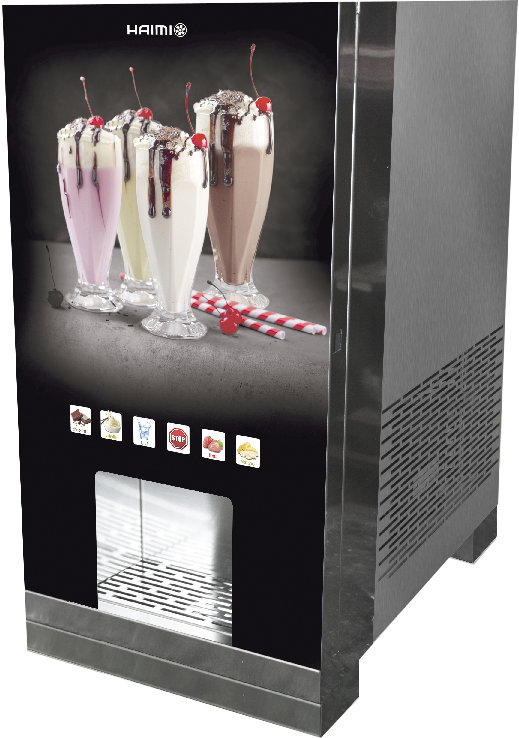 You can change the product label easily and, customize the front screen of the shake machine as you prefer. Placing the logo of your company or name. 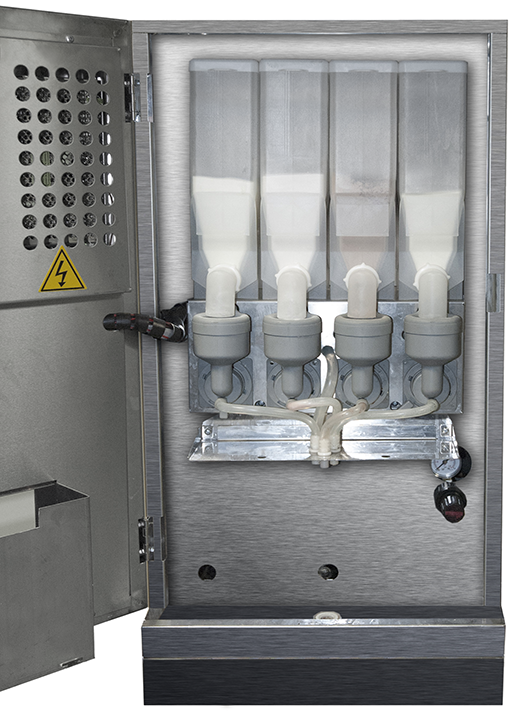 It has anti-return and anti-drip valves, and front interior and selected service lighting. 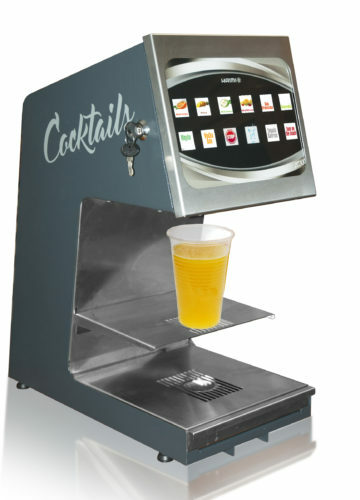 It also has a capacitive touchscreen. 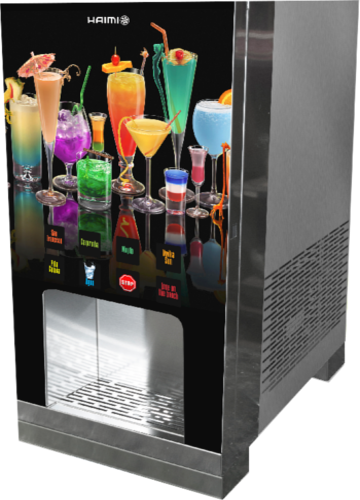 It has adjustable and manual self-cleaning function with counters, a compressor refrigeration system and a condensation system by forced draft.